A former education secretary doesn’t pull his punches when it comes to teachers’ unions; still, the Obama administration didn’t take them on. Naomi Schaefer Riley reviews “How Schools Work” by Arne Duncan. Political memoirs are rarely tear-jerkers, but Arne Duncan’s look back at his time as secretary of education under Barack Obama may make school reformers want to cry. It’s not so much that Mr. Duncan, who served from 2009 to 2015 after a stint as head of the Chicago public schools, was bad at his job or in any way unprepared for its challenges. 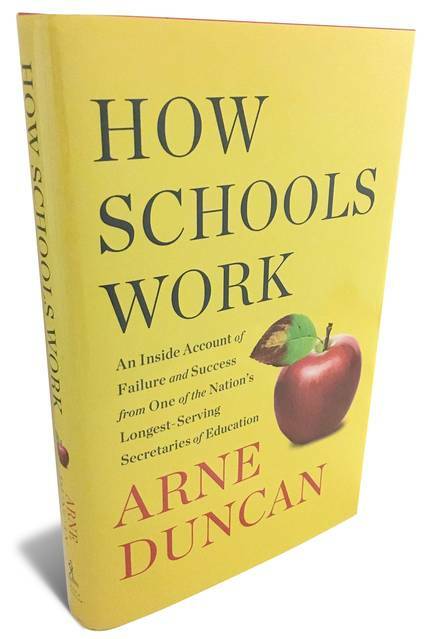 In fact, as “How Schools Work” makes clear, he understood a great deal about the problems plaguing American education. But that very understanding makes his cabinet tenure—recounted here alongside other tales from his public life—feel like a painful missed opportunity. Mr. Duncan’s theme is that our education system is built on lies. He tells the story of volunteering, while he was in college, at his mother’s after-school tutoring program in Chicago, where she helped neighborhood kids with their schoolwork. His principal charge was a young African-American named Calvin, a rising high-school senior who had more than enough basketball talent to play for a Division I team. Mr. Duncan assumed that Calvin, a solid B-student from an intact, hard-working family, just needed some help studying for the ACT ahead of applying for college—until the first day that Mr. Duncan sat down with him and realized that he was reading at the level of a second-grader. Despite a summer of hard work, Calvin wasn’t going anywhere. “The lies told to Calvin,” Mr. Duncan writes, “were not told to torture him. . . . More often than not they existed to protect resources, or to safeguard jobs, or to control what kids were taught and how or whether they were tested on what they knew.” Calvin was ill-served by a system that kept passing him along to the next grade level when he hadn’t mastered the basic skills of the one before. When it comes to the role that teachers’ unions play in the problems of public education, Mr. Duncan doesn’t pull his punches. Upon taking charge of the public schools in Chicago in 2001, he discovered (with the help of the Chicago-based economist Steven Levitt ) that at least 5% of the city’s teachers were helping their students cheat on standardized tests. He was appalled but felt stymied: “If I’d asked Mayor [Richard] Daley to fire 5 percent of all Chicago teachers, then there would have been hell to pay.” The episode is emblematic beyond its particular circumstances: In what other profession is it acceptable to retain people who you know are falsifying results? Clearly Mr. Duncan knows the value of a good teacher—he cites one well-publicized study showing that replacing a poor teacher with an average one can mean, for the student, a significant difference in lifetime earnings. Concerning college schools of education, he cites another study arguing that they have become, as he puts it, “an industry of mediocrity.” He asks his readers to imagine a world in which such schools focus less on theory and more on the subjects to be taught in the classroom. Mr. Duncan supports charter schools—though not as vocally as Betsy DeVos, the current education secretary—because, free of union contracts and bureaucratic burdens, they offer an alternative to underprivileged kids stuck in the classrooms of the lowest performing teachers. (He opposes school vouchers because he thinks they steal money from public schools; not surprisingly, the voucher program for poor children in Washington, D.C., repeatedly saw its funding cut during the Obama years.) 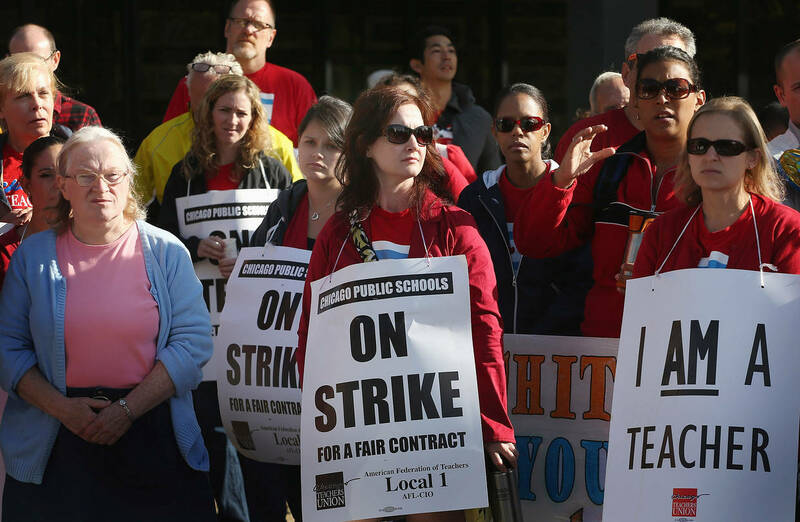 In the end, the Obama administration either couldn’t buck the unions or didn’t want to. Oddly, Mr. Duncan’s most publicized fights were with parents. In Chicago, they hounded him for closing failing schools. But he was right: There is sometimes no way to improve a terrible school short of shutting it down; keeping it open because it’s a fixture in the neighborhood does kids no favors. Along the same lines, he defends No Child Left Behind—the George W. Bush-era program that required each state to create assessments at various grade levels—because it disaggregated student data by race, giving a fuller picture of where help was needed. At one point, a parent from a closing school accuses Mr. Duncan of being a racist. He replies: “If I were a racist, then I would leave this school exactly as it is.” As Mr. Duncan’s account makes clear, it would be hard to devise an educational system that is more harmful to racial minorities if we tried. Mr. Duncan offers a lot of trivial solutions at the end of the book that he says could also improve things—universal pre-K programs, more after-school programs, more counselors to prevent gun violence—but most of these ideas would simply give more jobs to union employees and make it that much harder to achieve real reform. For the most part, though, Mr. Duncan does understand “how schools work.” The tragedy is that he and his boss didn’t have what it takes to make them work better. Teachers’ unions and their liberal allies are desperately trying to preserve the failing public school status quo. Witness how the Milwaukee Public School (MPS) system is defying a state mandate to sell vacant property to charter and private schools. Milwaukee’s public schools are a mess. Merely 62% of students graduate from high school in four years, and proficiency rates are 15% in math and just over 20% in English. Families are escaping to charter and private schools, which has resulted in 11,000 vacant seats and a budget shortfall that’s expected to swell to $130 million within five years. We wrote in 2015 about how MPS blocked charter and private school purchases of empty school buildings, which prevented high-performing schools like St. Marcus Lutheran from expanding. The state legislature then passed a law ordering the city and school district to sell vacant public school buildings. Milwaukee’s recalcitrance is denying thousands of students a better education—St. Marcus Lutheran alone has 264 students on its wait list—while draining tax dollars. Annual utility bills for vacant buildings cost $1 million, and the Wisconsin Institute for Law and Liberty calculates that the district could recover $5 million from selling its unoccupied real estate. The legislature ought to punish Milwaukee for flouting the law by, say, snipping its share of state funding. But State Superintendent Tony Evers, the Democratic front-runner to challenge Gov. Scott Walker in November, would likely do the opposite. He wants to freeze and then phase out vouchers, which help nearly 28,000 low-income students across Milwaukee attend private schools. If Democrats defeat Gov. Walker and take the statehouse in November, there will be nothing to stop Milwaukee or any other district from barricading students into lousy public schools. Appeared in the August 14, 2018, print edition. Congressman Paul Ryan of Wisconsin wrote a feature column in the Wall Street Journal this weekend to discuss the “war on poverty” as it turns 50 years old. Congressman Ryan, who worked extensively with the late Jack Kemp in the early 1990’s before becoming a Congressman, is advocating many of the ideals that Kemp spent a career fighting for, such as parental choice in education, and local leadership taking control and solving problems, rather than bureaucrats in Washington far removed from the situation. The two excerpts below really highlight some smart, innovative thinking when it comes to education. They say sunlight is the best disinfectant, and I think Congressman Ryan shining a light on these ideas in the WSJ is really important. I’m curious to know your thoughts. One day at Pulaski High School in Milwaukee, a fight broke out between two students. The staff separated them, but one of the students, a young woman named Marianna, refused to relent. She continued to fight—now with the staff—and to cause a stir. Then a call went out over the school radio for “Lulu” to respond. Soon, Marianna began to calm down. Once she arrived, Lulu quickly defused the situation. Of all the people at Pulaski High—all the teachers and administrators—only one person got through to Marianna that day, and it was Lulu. “Lulu” is Mrs. Louisa, one of five youth advisers in Pulaski High’s Violence-Free Zone program. Along with program head Andre Robinson and site supervisor Naomi Perez, they work as a band of roving mentors. On a typical day, you’ll find them walking the halls in black polo shirts. They chat with students, break up fights and help with homework. Most of them are recent alumni who grew up in the inner city, and they have the scars to prove it. They’ve been part of gangs. They’ve seen violence firsthand. But they don’t have education degrees or state certification. They have something more important: credibility. The youth advisers understand what the students are going through because they’ve had the same struggles. That credibility creates trust, and so the students listen to them. In the two years since the program started, suspensions at Pulaski High are down by 60%, and daily attendance is up by nearly 10%. Fourteen gangs used to roam the school grounds; today, they’ve all but disappeared. The school tried all sorts of things to keep students safe—more police presence, more cameras. But only this program worked. Mrs. Louisa, Mrs. Perez and Mr. Robinson aren’t just keeping kids in school; they’re fighting poverty on the front lines. If you graduate from high school, you’re much less likely to end up poor. According to the Census Bureau, a high-school graduate makes $10,000 a year more, on average, than a high-school dropout, and a college graduate makes $36,000 more. Ever since that day at Pulaski High, Marianna has improved her grades and now she is looking at colleges. Yet for all its professed concern about families in need, Washington is more concerned with protecting the status quo than with pursuing what actually works. • In education, give teachers more control, and give parents a choice. Some of the most exciting work in education has occurred in Indiana. Three years ago, then-governor Mitch Daniels shepherded through the legislature several bold reforms. 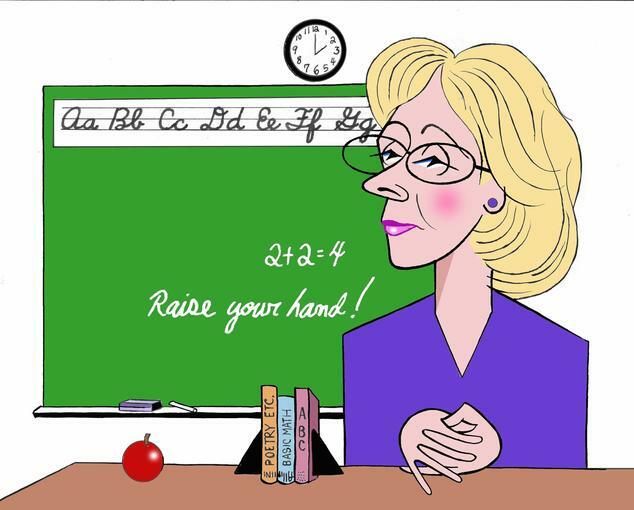 Before the reforms, union-negotiated contracts required teachers to earn compensation based on seniority, not performance, and the contracts dictated all aspects of the classroom experience, from the humidity level in the school to the number of hours a teacher must spend with students. Under the new laws, teachers’ pay is based on performance. In exchange, they have more control over the classroom. Collective bargaining covers only wages and benefits, so teachers can tailor the curriculum to the needs of their students. 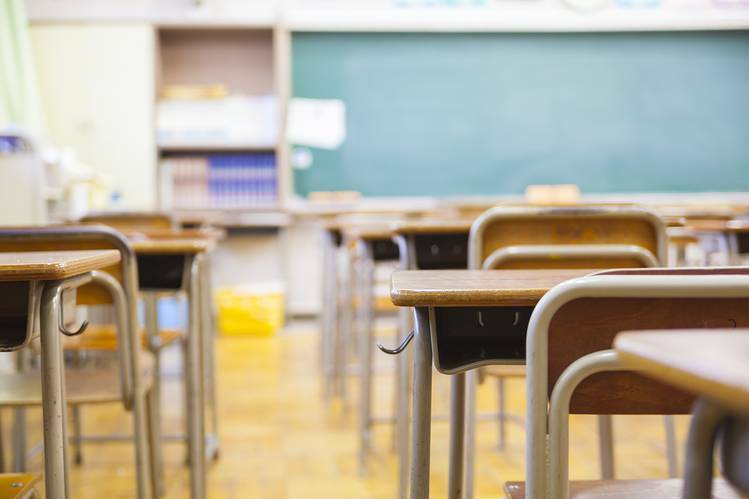 Low-income families are also now eligible for tuition vouchers on a sliding scale, and the reforms allow parents unhappy with a low-performing public school to turn it into a charter school with the approval of their local school board. A fascinating WSJ article about Rev. James Meeks, a black pastor, who is also a leading voice for the Illinois Democratic Party, choosing to force reform on the Chicago public schools. Read this quote by Rev. Meeks to understand his wisdom. The voucher movement seems to have been born, or seems to have been started as a Republican idea. That’s the way Democrats look at it. That’s the way black lawmakers look at it. This is a Republican idea. This is what the Republicans want to push on us. . . . We don’t seem to see public schools not working in your area. How does “the Reverend Senator” plan to get enough Democrats on his coalition to get [vouchers passed]? Objective: Find out who your State Senator and State Representative are and print or save their contact information. 2. Type in your address and click “Submit” button. 3. Print or Save this webpage as an MHTML Document. The most important name on this document is the name of your “Texas State Representative”. It is after “Texas State Senator” and before “Texas State Board of Education Member”. Why? Because the State Representative district is the smallest district. Therefore your vote counts more, since there are fewer total votes. If you finish this lesson, please send me a email so that I can know who has completed what. In the next lesson, you will call your State Representative. I will suggest what you can say over the phone.